We're helping to create a better tomorrow - whilst enjoying a great today. We provide a way for adventurous spirits to connect, to share and learn from each other - enriching the journey along the way. Connection and collaboration is what it’s all about. We’re energised by possibility, and the freedom of the open road. Curiosity leads our way. We could make something happen. Collectively we have a desire to make a difference, to make the most of each day. We want to leave our mark on the world, whilst taking time to enjoy the moment. We’re in the business of meaningful pursuits. We welcome individuality, you can see this in our team. But we believe strongly in the power of community. No two people are the same, no two customers, no two journeys. In serendipity lies discovery. We’re open minded, welcoming and eager to learn. Through sharing of stories we shine the light on different pathways. We’re explorers. We want to do good. Because we hear the call of the outdoors and find renewal amongst it, we want to protect it and share our knowledge with others. We want to do no harm, of course, and then we want to find ways to do more. We cherish connections and value the communities we visit, the moments we share and the people we meet along the way. We want to create something sustainable so we can grow the ability to make an even better tomorrow. Right now? We’ll enjoy a great today. How do we improve the wellbeing of our team? What does wellbeing mean for Mighway? The first steps have been taken to improve physical wellbeing through introducing weekly fruit deliveries and yoga sessions, and planning group activities, some involving volunteer work, to improve mental wellbeing. What can we do to improve the sustainability of the office environment? This group discovered that our office, was already doing well in the sustainability field, but we needed to improve in waste management. First steps involved finding more ways to reduce and reuse, by introducing reusable options for paper and plastics. How can we educate/engage our owners and guests on key principles to support responsible travel? This team took inspiration from the Palau and Icelandic pledge, and decided to create a Mighway pledge that could be taken by guests as a commitment to travel responsibly in both New Zealand and the United States. How can we engage and encourage our Owners to think about sustainability? This group has decided that the best way to engage Owners in sustainable ventures is to lead by example. Their first steps are to make the Mighway promotional van greener, with solar-panels to start, and promote the process to owners. What's it like working at Mighway? Curiosity: We're always ready to take the road less travelled. Authenticity: We say what we mean, and we mean what we say. Freedom: We embrace the freedom of the open road before us. Partnership: We know icecream tastes better when it's shared. 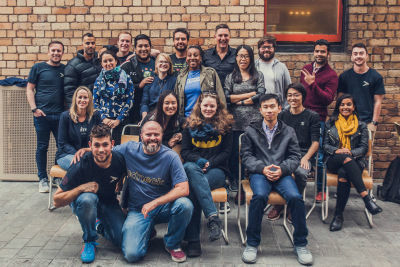 Have a read, and learn all about the amazing and diverse crew of people that make up the Mighway team, here to help you let the journey unfold. Learn all about Mighway, from how and why we got started, to what we believe in, and the places we're really excited to be heading.